When I speak with leaders all around the nation about their journey to become successful, these are some essentials they have developed. Grab you free Training of 90 minute Video and PDF download on Video Marketing Ideas Here. 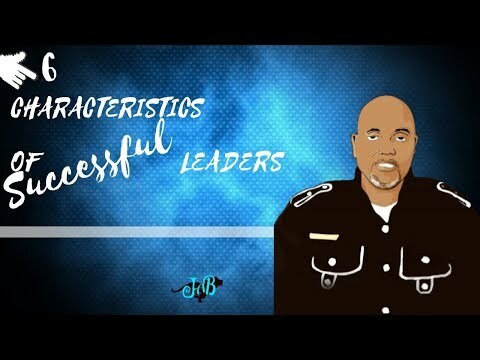 Here are the 6 Characteristics that will make a difference in your Leadership…. Confidence could be titled as self-assurance. It’s defined by Webster as a feeling or belief that you can do something well or succeed at something. You must starve doubt and feed faith to achieve the success toward every goal that you set. If there is a needful change that’s appropriate in any marketing concept or any acknowledged entrepreneurial skill-set, you must have confidence that you can & will master whatever it requires. Communication skills is very important to leaders. It is one of the most important characteristics when it comes to any personal relationships and connecting in any business model. For more on this topic, I share a blog post here titled → Customer Service Skills To master that Every Business Needs. There are several soft skills that’s related to communication and we discuss more in detail there. Leaders are always investing and learning new skills. They understand when it comes to marketing and getting in front of a specific target audience, it is essential to lead with value. They are always reading books and investing in courses and attending seminars to learn any new technology. This in return separates them from their competition. Your success will depend on the value that you bring to the market place. Leaders are always sharp and delegate authority very well. Also in guiding others to the proper tools, systems and strategies that will propel their business to the next level. People join people and are always looking for solid Leaders that can give helpful advice to build core beliefs and minister tough love to initiate invested growth. This person is better defined as a person that other members know they can depend on. When most people face challenges or obstacles they throw in the towel and fall into the 98% of those who are still struggling. Leaders are dedicated for the long haul. An entrepreneur is defined as one who organizes, manages, and assumes the risk of a business or enterprise. Remember that time will always pass. So, the best way to describe DEDICATION is to stay focused, no matter if it takes longer than you thought. Remember a entrepreneur that has mastered these characteristics are categorized as leaders and always changes every unlikely circumstance that they encounter. Quote: You don’t see things as they are, You see them as you are. When you are Optimistic it is a strong sign of a high self-esteem and can bring comfort to the body,mind and soul. Remember that optimism is one of the steps toward leading a happy, successful life.